Megyn Kelly Today has been canceled by NBC over the host's recent comments on the use of blackface during Halloween. The network is currently in negotiations with Kelly's lawyers over a severance package while she still remains an employee of NBC. The network hired Kelly from Fox News in January of 2017 for $69 million, which was seen by many as a risky gamble. Megyn Kelly has far different views than many that are shared on NBC and she was not afraid to share those sometimes controversial opinions with her guests and viewers. While it's rumored that NBC had been ready to part ways with Megyn Kelly for some time now, it was her comments on Megyn Kelly Today earlier this week that sealed her fate with the network. In a roundtable discussion about Halloween costumes, it was asked whether or not it was okay to dress in blackface, which Kelly defended, adding that it's okay to dress as characters for the season. The comments immediately caused a stir on social media, with many viewers calling for the host to be removed from her own show. Megyn Kelly recorded an apology, but the damage had already been done. NBC announced that they had canceled the Megyn Kelly Today show on Friday morning. The show was not the ratings monster that the network had hoped, and it never really was. Adding to the situation is reported tensions with upper management at NBC, which was inevitable, according to sources. Kelly's entire outlook is radically different from NBC's, and many predicted that the relationship would never work out back when it was first announced early last year. 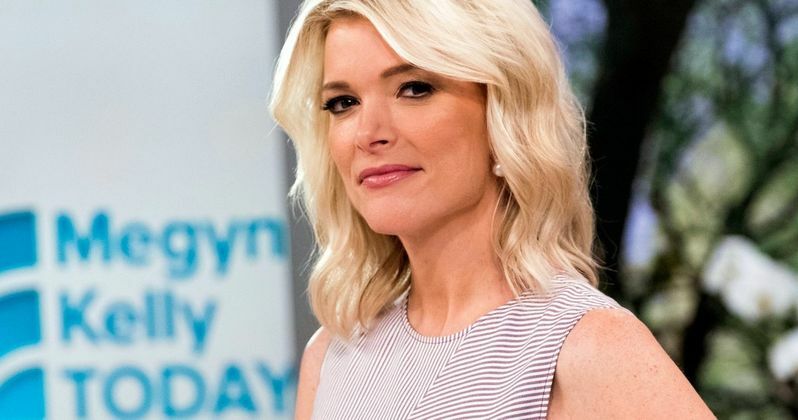 Thursday's Megyn Kelly Today episode was replaced with an older episode and so was Friday's episode, leaving many to believe that she won't be coming back on the air to say goodbye to her viewers. Kelly left Fox News in 2016 after sexual harassment allegations against Roger Ailes were made public. Kelly admitted that she had been the victim of some of the harassment, which was a major component in her decision to leave the network. While her show has been canceled, Kelly was hired on for multiple roles at NBC, which means that she might stay on board to cover the news in the future. Kelly has yet to make another statement on the matter since Wednesday. NBC has not yet announced a show that will take the place of the Megyn Kelly Today show, but that is expected to be announced shortly. For now, it looks like the network will continue to run previously recorded shows for the time being. Even though Kelly has apologized for remarks about dressing in blackface for Halloween, there are many who are still angry and do not want to see her return to NBC in any capacity. This story is still developing and more news is expected to be released soon. CNN was the first to announce this news.